Cryptic pregnancy is a term that is used to define a pregnancy that goes unnoticed until delivery. Even though this sounds unrealistic but it is possible. According to research, 1 in every 475 women does not realize that she is carrying a baby. When a woman is pregnant, the cells formed in the placenta produce a hormone called human chorionic gonadotropin (hCG). This hormone can be detected in the blood or urine to confirm a pregnancy. However, in a cryptic pregnancy, little or no hCG is detected due to the fetus not producing enough of this hormone. Hence, the pregnancy can’t be confirmed by the usual methods, increasing the likelihood of it going undetected. What are the symptoms of a cryptic pregnancy? The symptoms of cryptic pregnancy would be similar to those you would experience in normal pregnancy but they may be more subtle. For instance, you may experience nausea and vomiting but it may not be as intense as experienced in a regular pregnancy. Similarly, the flutters in the stomach may be similar to feeling gassy. Some women also experience period like bleeding during the pregnancy with shorter durations and lighter flow. Such a situation can make anyone think that they’re not pregnant. 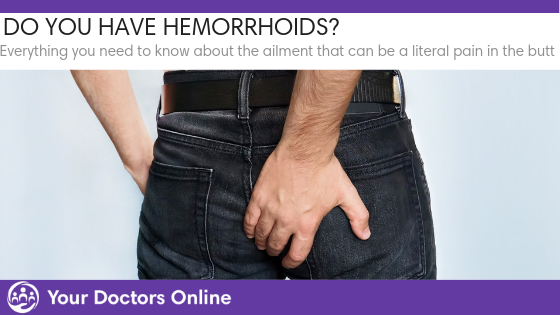 In addition to this, the other symptoms that you can experience include fatigue, food aversions, the need to urination more often, increase in weight, and feeling aches and pains in the body. What are the causes of cryptic pregnancy and would the belly look any different? Usually, in case of such a pregnancy, the fetus is nested at the back of the womb, closer to the spine. Hence, the belly growth is slower and not as prominent as it would be in a regular pregnancy. Secondly, the development of the baby is delayed in case of a cryptic pregnancy. As the baby is growing at a slower pace, the outer appearance of the belly is also affected. Is it the same as stealth pregnancy? Yes, these terms are interchangeably used to define the type of pregnancy where the woman who is pregnant remains unaware due low hCG levels and no obvious pregnancy symptoms. I didn’t know I was pregnant – is that unusual? Though it is highly unlikely, research shows that it is possible. You may be unaware of a number of reasons. Low hCG means that your pregnancy tests will come back negative and as the fetus is positioned near the back of the spine, it is also easy to miss it on ultrasounds. Secondly having a regular menstrual cycle can be misleading as well. Even though the flow and number of days may be lesser but it’s natural to not expect a pregnancy to happen when your monthly cycle seems regular. Same goes for birth control methods. If you are on birth control pills, for instance, a pregnancy doesn’t seem very likely. Even though cryptic pregnancies are quite rare but they do happen. If you feel that you are experiencing any of the symptoms shared in the article, it’s good to err on the side of caution and consult a doctor. Share your questions or concerns with one of our doctors today to get advice that is completely free of charge. Author: Erum is a public relations professional who specializes in technology comms. She is an avid reader, a travel enthusiast, and a self-proclaimed story-teller. Before joining the content team at Your Doctors Online, Erum was the PR manager at Hill & Knowlton Strategies and was handling communications and content strategy for a diverse portfolio of brands. She is also a new mom who is finding her way around motherhood.